Getting ready to move house, packing, dealing with estate agents and solicitors, before finally getting settled into a new home, ranks high on the list of life’s most stressful experiences. Trying to take care of a tiny person, who might not be completely aware of what is going on, can add to that stress. Thankfully, there are some things you can do to make life a bit easier. On moving day there can be lots of hustle and bustle; people moving furniture, loading boxes into vans and going back and forth between your old and new homes. While all this is going on it’s worth arranging to leave the kids with a babysitter, a grandparent or family member, so you can focus on getting your belongings moved. Even if it’s just for a few hours, this can be a massive help – just to empty a few rooms, for instance. • Clearly mark the kids’ boxes, so you can find them quickly once they’ve been moved and unpack their rooms first. This gives them somewhere to settle and play, out of the way, while you unpack boxes for the rest of the house. • If you’re able to leave the kids with friends or family, while you carry out the move, it’s wise not to pack all of their toys. Instead, give them some of their favourites to play with first, so, in the event that you don’t manage to unpack their rooms, you can still keep them distracted. • Prioritise the rest of the unpacking to help ease any unnecessary stress –what you use most should be what you sort out first. It’s even worth making up a box of essentials (kettle, teabags, the phone, cutlery, etc. ), which you can get access to quickly when you’ve moved. The hours after you move house can be just as tiring as the move itself, as you recover from what’s been a big upheaval. It’s exhausting for an adult, so imagine what it’s like for a child. Bear in mind that children, especially at a younger age, are creatures of habit, so it might take a few days to get settled into their new surroundings. Try making the days that follow your house move fun – let them explore and get comfortable in their new surroundings. Living in a new home can be quite overwhelming for anyone at first, so make their first few days there as painless as possible, help them settle and lessen the stress for you. This is a sponsored post on behalf of Red Rose Property Management , a sales and lettings company based in the North West. I need these tips, thankfully T will be at school when we move, so that will be one less thing to think about 🙂 It’s so stressful isn’t it? Wouldn’t want to ever do this again! Great tips we will have yo eventually move to a bigger place and I’m dreading the idea of moving again but with a child I’m guessing it will be more stressful. Goodness, and I thought moving whilst pregnant was stressful! Hopefully we’ll be able to make the most of these great tips when we move in the future… although maybe not for a couple of years yet! Gosh I remember moving house with a 1, 2, 9 year old and 8 months pregnant with our youngest, it was horrific! These are great tips, wish I had thought our move through a little more, those first few weeks were hectic!! Great tips! We are looking for a bigger place. Although I know the moving will be stressful, I am sure it will all be worth in the end! I made the mistake of buying a house and moving in the same month as getting married – never again! I’ve not moved for years and it puts the FEAR into me. My top tip would be that the first thing you do is make the beds so you can flop when you need to. I would add put the corkscrew in your bag but most wine is screwtop these days. 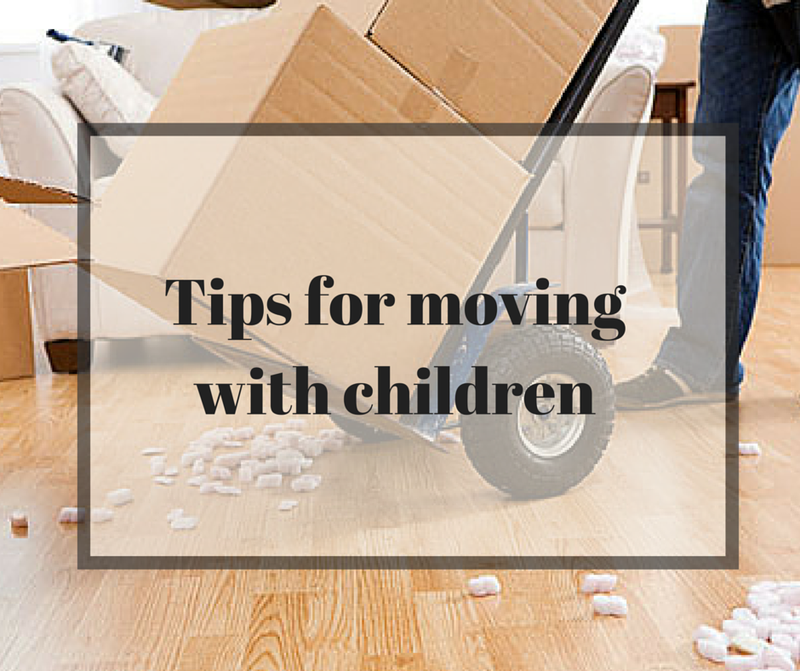 Really great tips for those moving house with little ones in tow. I definitely think organising a relative or babysitter to take them for a few hours so they’re not caught up in the hustle and bustle is a fab idea. Great tips! Moving can be so stressful!